iessential mario Designer Printed Back Case Cover for Apple iPhone 7@448 Rs [Mrp:-998] - Onlinedeals.discount - A leading product discovery website. Find the true prices of products, read reviews and buy top brand products at reasonable prices. 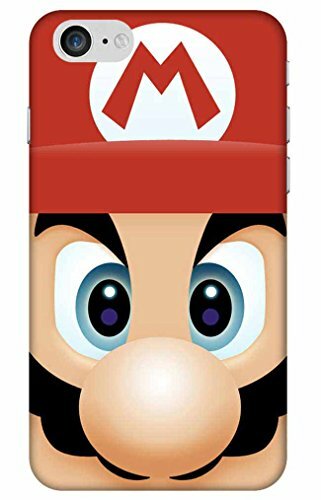 mario Design : Exclusive Design : This Exclusive Design is gonna make your phone look completely adorable and dashing. Complete Protection : This Cover provides Complete protection from all sides. The case is molded with great precision and the raised lip on the case sides offers the side protection as well. 3D Printing on all sides : All the sides are beautifully covered with our 3D printing technology, the design has been permanently embedded to the cover. It will never peel off from anywhere. Build Quality : The material used is light and durable polycarbonate material. It wont make your phone heavy, and will give perfectly awesome look at the same time. Full Button and Port Access : The special attention is given to all the buttons and port access for your phone. The special cutouts wont ever trouble you while using your headphones, chargers, USB Pendrives or any other accessories. All ports are perfectly accessible.